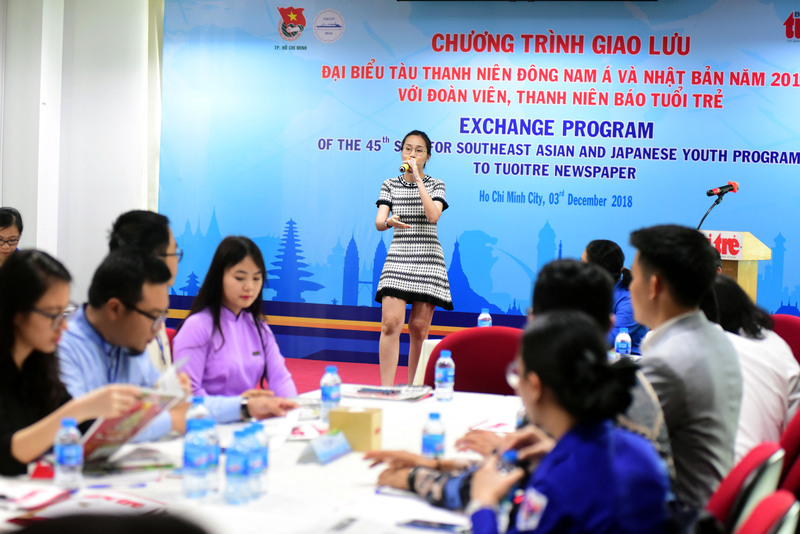 More than 40 ambassadors of the 45th Ship for Southeast Asian and Japanese Youth Program (SSEAYP) 2018 paid a visit to Tuoi Tre (Youth) newspaper in Ho Chi Minh City on Monday. 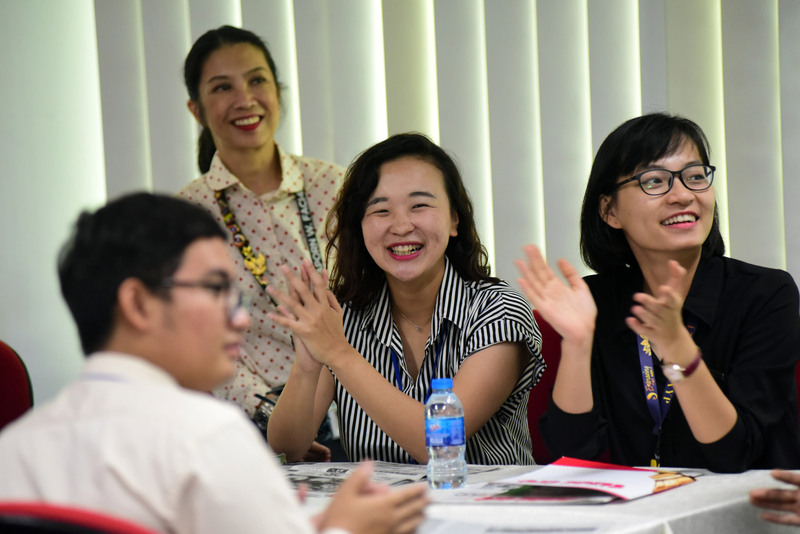 The visit was made after 329 SSEAYP ambassadors, who are young leaders of ten Southeast Asian countries and Japan, on Sunday afternoon disembarked from Japanese cruise ship Nippon Maru onto Cat Lai Port in the southern city, kick-starting their three-day stay in Vietnam’s economic hub. 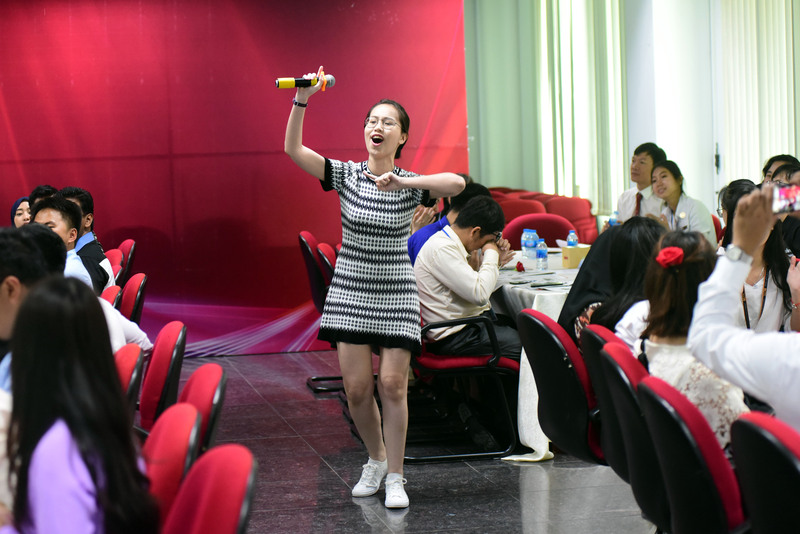 As part of their activities in Ho Chi Minh City, a group of 40 young leaders and five SSEAYP officials visited Tuoi Tre at its headquarters in Phu Nhuan District on Monday morning. 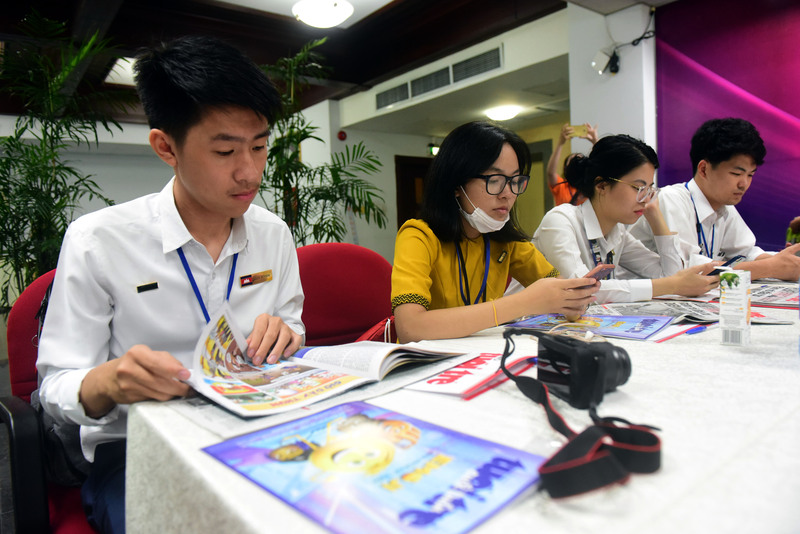 Upon arriving at Tuoi Tre, the guests were received by the daily’s deputy editor-in-chief Le Xuan Trung and its young journalists. In his speech after warmly welcoming the SSEAP members, Trung talked of two recent major events involving ASEAN countries - a joint statement on the Comprehensive Economic Partnership Agreement (RCEP) and the establishment of the ASEAN Association of Young Entrepreneurs. 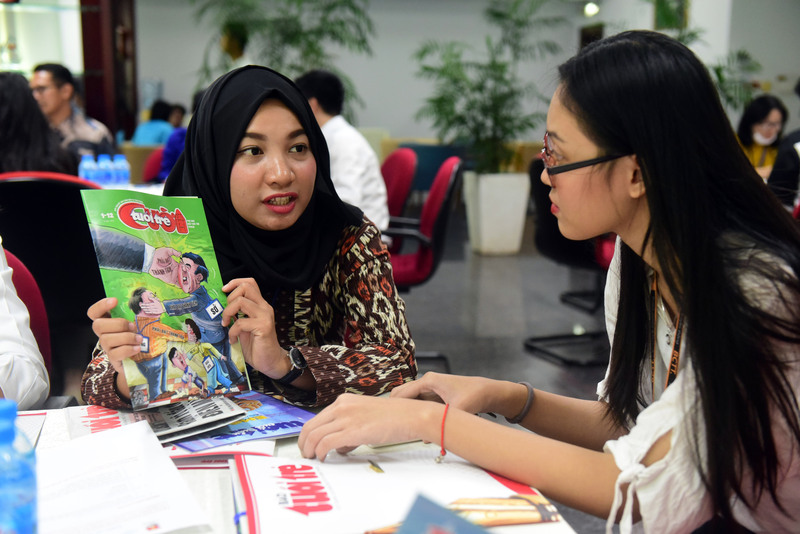 On November 14, leaders of ten ASEAN countries and six partner nations expressed their determination to complete the RCEP in 2019, making it the world's largest free trade area, whereas the ASEAN Association of Young Entrepreneurs was established in November after six years of working on regulations and seeking approval from governments in the ASEAN community. 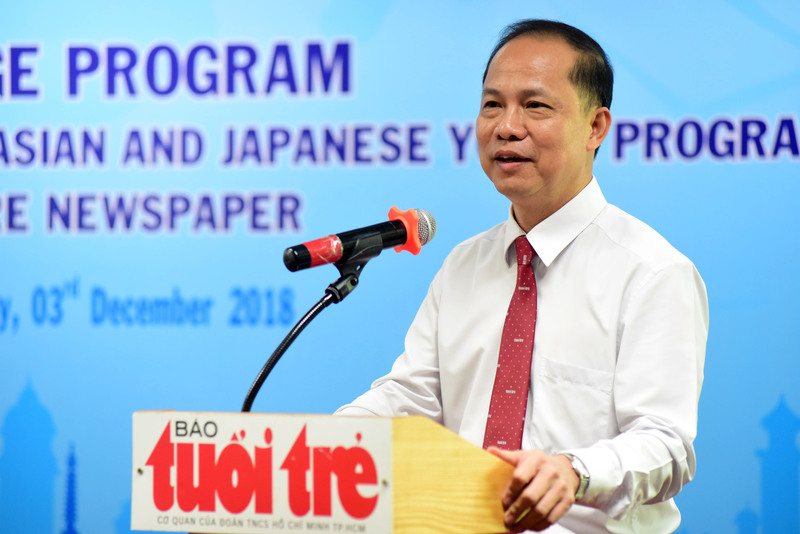 “These two important events have emphasized the meaning of exchanges like ours today, in building and maintaining the traditional ties between Vietnam and ASEAN and Japan,” Trung underlined. 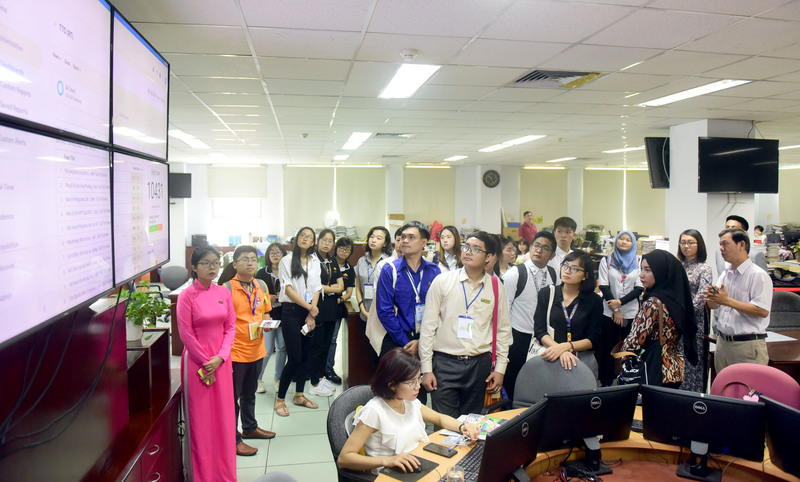 Following the reception, the SSEAYP guests toured Tuoi Tre’s news hub and its video department, before joining a discussion session. ASEAN, or the Association of Southeast Asian Nations, is a ten-member politico-economic organization whose members include Brunei, Cambodia, Indonesia, Laos, Malaysia, Myanmar, the Philippines, Singapore, Thailand, and Vietnam. Prior to Vietnam, the SSEAYP ship visited Brunei, the Philippines and Thailand. 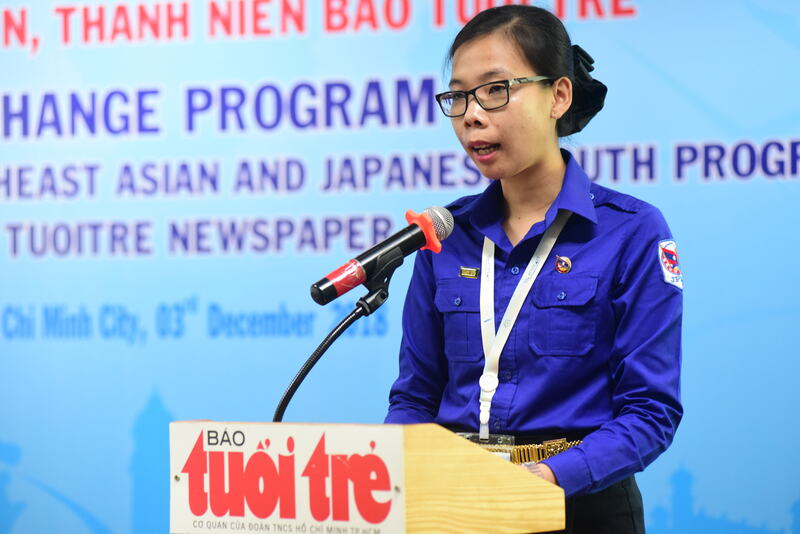 The young leaders are scheduled to return to Japan on December 12 to wrap up 52 days of activities. 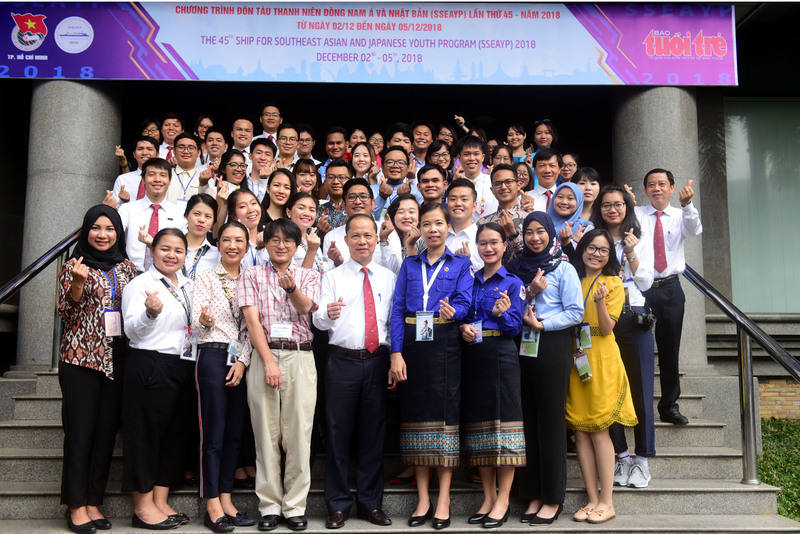 First organized in 1974, SSEAYP is a cooperation program run by the governments of the ten ASEAN nations and Japan with a view to fostering the friendship among their youths. This year the SSEAYP program lasts from October 23 to December 13. Vietnam has taken part in the program since 1995.